The unique and unrepeatable series, is an authentic work of art and a unique collector’s item, and heralds a true innovation in terms of traditional craftsmanship and technical design. 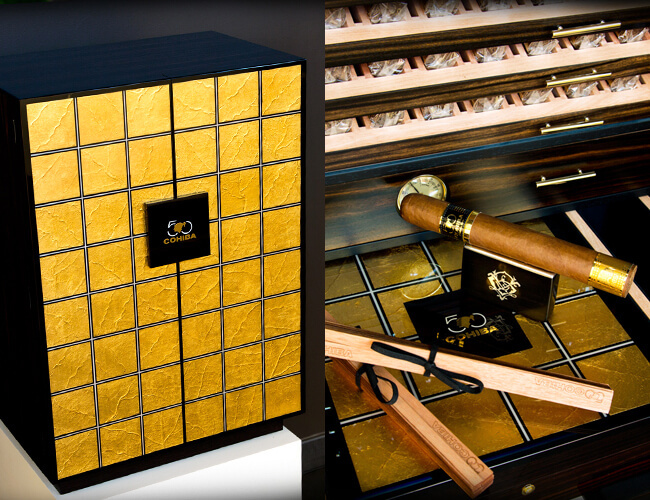 The humidor is lined with real Cuban tobacco leaves plated with 24-carat gold. This is a limited series of 50 humidors, all numbered and personalized with the owner’s name. Each humidor contains 50 Habanos with a vitola of the same name, and is also unique in the size of its ring gauge, being the first in the history of Habanos to offer 60 mm ring gauge x 178 mm in length.